The laboratory provides 24 hours emergency service to patients. However samples will be collected only if accompanied by an urgent request by the doctor. An emergency charge of 20% will be applicable after 10.00 pm till 8.00 am. Sun-IT offers its clients the complete range of testing services, addressing the client's testing needs: test planning, strategy and management, managed test teams and outsourced software testing. The drive to bring new products and releases to the market quickly means that software companies need to focus on design and development. However, other essential activities such as software testing, software quality assurance (QA) and bug resolution can consume considerable development team’s time, cost and effort. COMPITSS, as a QA Service Provider helps the Clients by providing one of the best quality software solutions. Encoding Enhancers offers a whole gamut of independent outsourced testing services to companies across the globe. In-house Software Testing is a costly affair, as a developer cannot find errors in their own code. Thus, as a company, you need to recruit more specialists to test the software. The best solution for this situation is to outsourced testing services to any offshore testing service providing company. 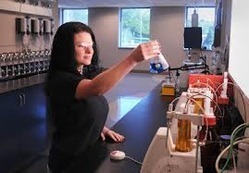 Outsourcing of product testing offers low risk and high cost savings. Hence product companies across the world are increasingly relying on third party testing partnerships. These partner ships offer increasing benefits in terms of better quality standards and improved costs. Outsourcing of product testing offers low risk and high cost savings. Hence product companies across the world are increasingly relying on third party testing partnerships. These partnerships offer increasing benefits in terms of better quality standards and improved costs. Experienced testing engineers at Public Info Tech can enhance the effectiveness of your product development and accuracy of your product. Our Testing Services span various testing techniques, software platform and industries no matter whether applications are designed and constructed within or outside of Public Info Tech . In case that a particular test is not done by the laboratory, the same will be arranged to be forwarded to a referral lab for analysis.